Countries emerging from civil war face many challenges: economies in tatters; internal displacement and returning refugees; difficult processes of reconciliation. In the critical moment after the silencing of the guns, a primary concern for those committed to building sustainable peace is how to address root causes of conflict to avoid relapse. High rates of youth unemployment are prominent amongst the risks identified by peacebuilders. Failure to create jobs of a large youthful population is a concern everywhere, but in post-conflict states this ‘security demographic’ directly threatens hard-won stability. This line of reasoning seems logical enough. The association of unemployment with instability is widely accepted, and numerous ‘jobs for peace’ programmes explicitly aim to address this. However, the evidence base on the connections between violence and unemployment is thin. The Politics of Work proposes that a qualitative framework for studying how experiences of unemployment influence young people’s political identities and behaviours (including violence) in the aftermath of war. 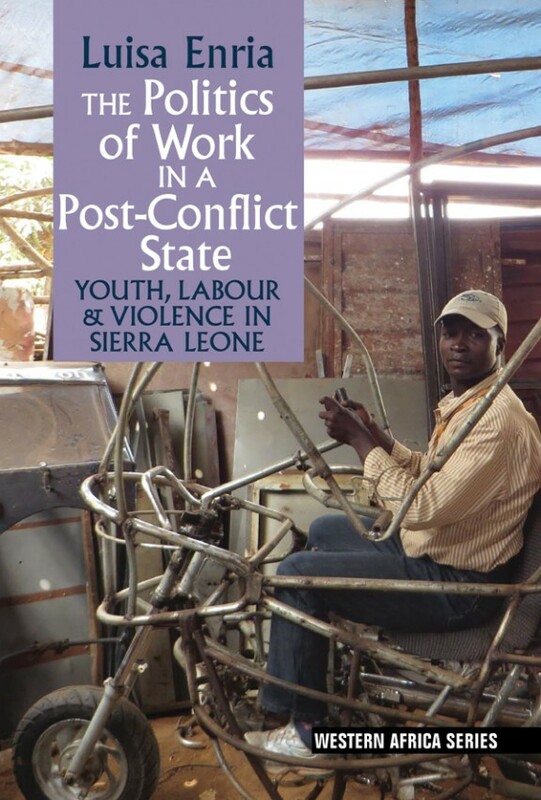 Bringing together an ethnographic perspective with a political economy of work, through the case study of post-conflict Sierra Leone, the book aims to provide both a deeper theoretical understanding of the nature of the relationship between labour markets and political mobilisation and an opportunity to imagine alternative solutions to the problem of the ‘security demographic’. The book starts by looking at labour markets empirically, as social institutions. It follows the lives of young men and women in Freetown who make a precarious living on the margins of the informal economy and their efforts to find employment. Through their eyes, we see how they grapple with the label of ‘security risks’ in the new Sierra Leone, and how they try to forge a future as they look for work, meaning and social connection. Exploring the social meaning of work, the ways this shapes identities and relations shows how experiences of labour market exclusion inform young people’s efforts to navigate the post-war political landscape. Ultimately, tracing the lives and perspectives of the book’s young protagonists, we see that violence is not inherent to unemployment. Rather, it becomes one of many tactics to steer one’s future out of the streets, one that co-exists with, but occasionally undermines, claims for meaningful citizenship. After its eleven-year civil war (1991-2002), Sierra Leone became emblematic of new approaches that extended peacebuilding interventions beyond the end of hostilities. The conflict, understood as a ‘crisis of youth’, saw young people, their grievances and economic ambitions, featuring prominently in all fighting factions. In the years following the war, high rates of unemployment were cited as a risk to sustainable peace. Young people’s involvement in episodes of, primarily election-related, political violence served as a reminder of the unresolved youth question. Narratives about young people as ‘ticking bombs’ are powerful. In Sierra Leone, they impressed a sense of urgency on youth employment programming. However, the book considers the implications of the simplistic equation of unemployment with the risk of instability implicit in these kinds of interventions. In a context where standard definitions of unemployment do not apply, as everyone has to make a living in the absence of social safety nets, the nature of the threat itself is open to interpretation. As a result, jobs for peace programming requires normative valuations of different kinds of livelihoods in the informal economy—with some activities sanctioned as peace conducive forms of employment, and others, such as street hustling or commercial motorbike riding, devalued and criminalised. The consequences for those involved in these livelihoods and popularly identified as threatening are substantial. Social valuations of different kinds of livelihoods seep deep into young people’s assessments of their lives, their current prospects and future aspirations. The Politics of Work considers how devalued forms of work and exclusion from socially recognised employment affects young Freetonians’ sense of self and their struggles to become ‘a somebody’ in the post-war city. In particular, it shows how labour market exclusion places young people on a competitive search for dependence on powerful connections (sababu). Despite the ubiquitous rhetoric of youth empowerment, Freetown youth only imagine a meaningful future by establishing relations of reciprocity and moral obligations with a sababu. 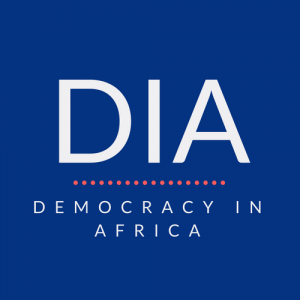 The meanings, identities and relationships that young people build in shifting post-war terrains impact the nature of their political engagement. The book explores how shared experiences of labour market exclusion creates fragile solidarity amongst the unemployed. Hustling for employment creates a strong political consciousness framed around work, and political imagination hinged on social justice and claims for redistribution. This is however in constant tension with pragmatic efforts to navigate the system as it is, including competition over valuable connections to escape the streets. Struggles to find a collective voice strengthens the expediency of threats of violence as a way to leverage young people’s position in a gerontocratic society. In practice, however, following episodes of post-war political violence shows that these are primarily elite-led. Experiences and perceptions of labour market dynamics underpin some young people’s efforts to signal loyalty to political strongmen in need of informal ‘protection’. Yet, availability for violence is not enough. Social networks are key to cementing the relations of reciprocity deemed necessary to forge a way out of unemployment. The stories of the young men and women who use violence to steer their futures leave us wondering whether overcoming exclusion but ‘playing the game’ is a real possibility or a mirage created by a deeply unequal society. In post-war states, the experiences of Freetown’s youth point to the importance of shifting our focus, engaging deeply with the social experience of unemployment and the nature of its relationship to political mobilisation. The Politics of Work concludes by considering alternative solutions to the youth unemployment problematic in ‘fragile’ contexts, including considering long-term structural transformations, countering jobless growth, moving away from emphasis on micro-enterprises. At the same time, it brings the question of politics back to the forefront, suggesting we pay attention to young people’s search for social connection, their political imagination and the realities of post-war political landscapes in considering more concrete youth empowerment strategies. Luisa Enria is Lecturer in International Development at the University of Bath. She has carried out extensive ethnographic research in Sierra Leone. Her latest ESRC-funded project is entitled States of Emergency: Citizenship in Crisis in Sierra Leone.